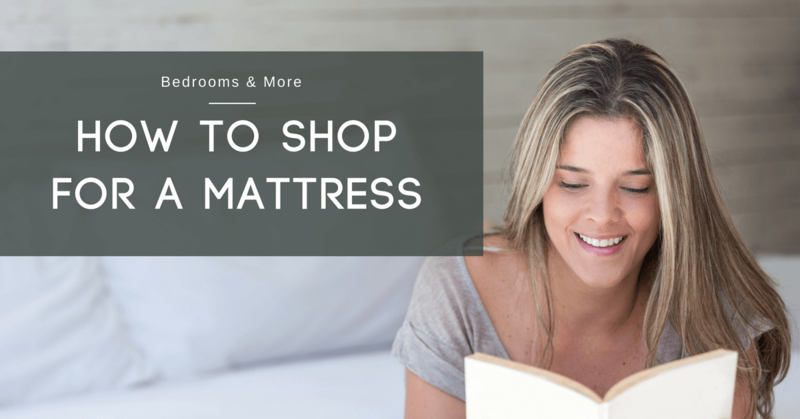 Shopping for a new mattress? There’s a class for that! At Bedrooms & More, we’re not afraid to do things differently. From selling only two-sided mattresses to emphasizing natural bedding materials, we’re used to going against the current. But we want to offer more than just great products; we want you to know how to shop for them. That’s why we hold our “How to Shop for a Mattress” class every Saturday at 9:30 am. What’s the difference between latex and memory foam? How supportive should my pillow be? Are waterbeds still a thing? I’m a side sleeper, what kind of mattress do I need? You’ve got questions. Lots of questions. You deserve to have each of them answered by a knowledgeable individual who cares about your satisfaction and wellbeing. Most mattress companies want two things: To sell you a mattress quickly and to get you back in the market as fast as possible. Don’t fall for it. Our class teaches you what you need to know and what questions to ask, empowering you to go out into the market and make a good purchase. A great purchase. The best purchase! Whether you choose to buy from us or go elsewhere, we want you to leave with the confidence you need to shop smart. We tailor each class to fit your needs, so you get the most out of your time. We answer all of your questions while providing a solid foundation on how the mattress industry has evolved over time. We hold our class in-store every Saturday morning at 9:30 am. Come and see us! This entry was posted in Blog, Mattress 101, Seattle Blogs. Bookmark the permalink. Thank you for the useful information. I am planning to purchase a pocket coil mattress (Latex) from Mattressville. My partner does release very much body heat to the mattress. I have heard latex mattress can be good for body heat people. What do recon for me? Should I go with the mattress or should I double checking it? Thanks for your detailed review. I will search mattress as per your suggestions. Thank you for your time.